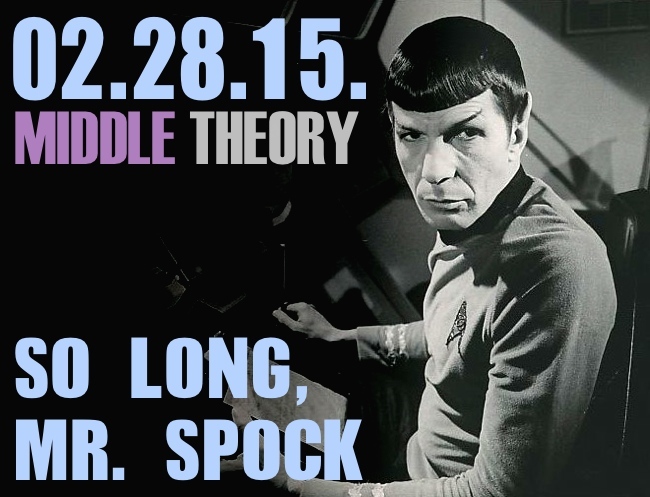 It is with deep regret that we learned of the passing of Leonard Nimoy just prior going to air with this latest installment of Middle Theory, and hence, The Mouth and McNonymous pay tribute to the man whose efforts went well beyond his portrayal of characters like “Spock,” famous science advisor to Captain James Kirk of the Starship Enterprise in the famous Star Trek universe. Micah also goes on a rant in response to a suggestion from the listenership that we “pick a side,” which if you think about it, is essentially contrary in every way to the concept of a “Middle Theory” as we seek to express on this program. Can one truly unlearn their biases? 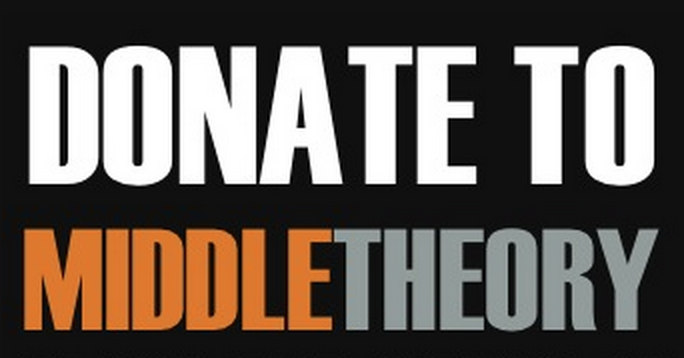 If you enjoy this program, help support Middle Theory by Donating. In the news we examine this week, Robert Van Winkle, AKA Vanilla Ice, was arrested in relation to a residential burglary, which gets Mr. McNonymous thinking about a subject we addressed some time ago, having to do with supposed “occult” ties to the music industry. We actually see this subject coming up quite a lot these days… and the further inference that the Illuminati are behind it all, a secret society who historically benefits from its ominous symbolism (which they apparently “hide” EVERYWHERE for all to see). Sounds like they could learn a few lessons from the World’s Most Secret Society on how to actually remain secret, and still be a society. Finally, President Obama has caused our eyebrows to raise by challenging Republicans to ‘Have a vote on whether what I’m doing is legal’, with equal promises of vetoing their opposing votes. Meanwhile, a group of sixth graders were recently asked to revise an “outdated” Bill of Rights in a Common Core exercise. McNonymous doesn’t think it was a big deal… The Mouth begs to differ (so how’s that for picking sides?). 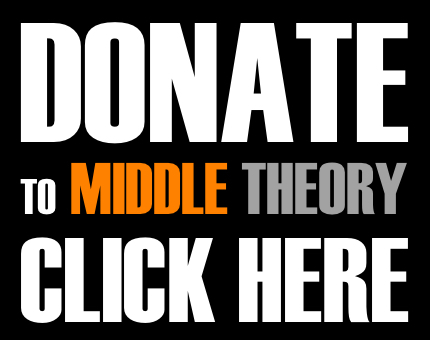 Help support Middle Theory by Donating to the cause, or by following us on Twitter and Facebook… and may Der Gople bless you all with all the splendor of her electrolyzing gelatinous tendrils. This entry was posted in Podcasts and tagged centrism, Common Core, conspiracy, Illuminati, Leonard Nimoy, Libertarian, Spock, Star Trek by Micah Hanks. Bookmark the permalink.